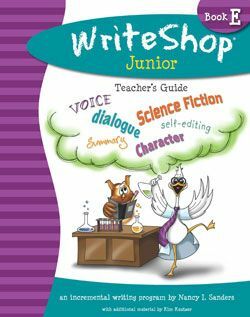 For the past eight weeks, Eden and I have been working on a review from WriteShop as part of a review for the Old Schoolhouse Magazine’s Review Crew. 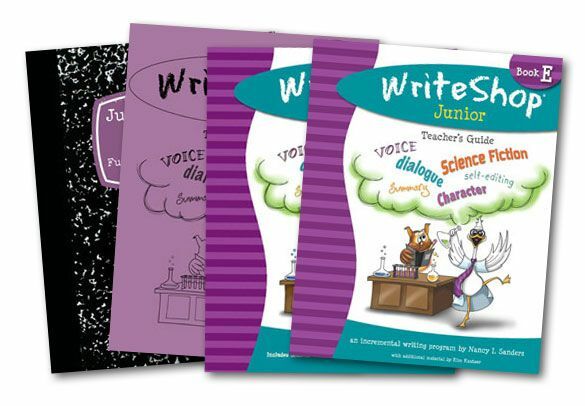 We received a digital copies of WriteShop Junior Book E with the Teacher’s Guide, Junior Book E Activity Pack with Fold-N-Go Grammar, Time Saver Pack, and Junior Writer’s Notebook, all digital. 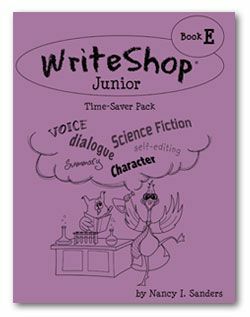 Eden is nine, a proficient reader with a strong background in grammar but not a whole lot of specific writing experience. 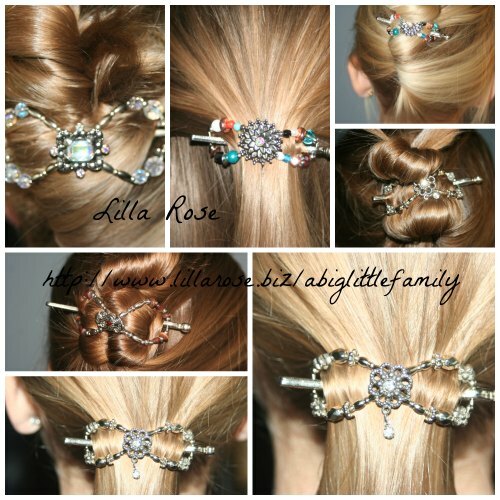 Each of those are broken up into three week studies, with about three lessons per week. It began by studying fables, and while we have a number of fable books Eden has read and enjoyed, the writing of her own stories was a struggle. We worked together through it all – this is not an independent study by any means – and got through it. Eden learned, was stretched, and began to see through the whole story before she began writing. Good progress! When we began, the scenario was described minimally at best and the story sank quickly, but she made progress quickly. She learned about voice and how certain characters can almost be pegged for who they are based on what they are (a fox is sly, a wolf often lies, etc.). It was a fun study. We’ve continued the study, learning about compound and simple sentences, writing humor, and writing adventures, and varying sentence length. 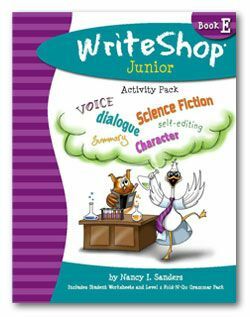 With story prompts, she’d take off writing and her stories took on more shape and definition the further into the course that we got. 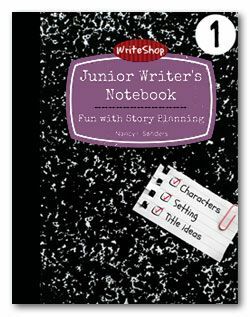 The story prompts are fun and prevent writer’s block – the challenge was sometimes which start to pick! As a great reader, it was fun to see Eden develop the flip side of that and work towards becoming a great writer. She has enjoyed the course thus far. It’s written to fill a school year, so we have just begun, but already I’ve seen progress. Editing… it’s hard! I’ve often gone through my children’s school papers, crossing out and moving sentences and marking up their pages. They cringe, but are pleased when it’s finished, so willingly let me help them. But self editing was a whole new ball game! they are attached to their work! Declaring it not fit for the final draft is a hard choice. Eden and I worked on it together, and worked on it some more, and she’s making progress. I particularly appreciated the section on editing, having them do it, and how to help them. I don’t want to have to do this for Eden forever – and WriteShop moves them toward that faster than I considered them capable – but if I can be out of a job, that’s great! These are well written and well illustrated. It’s not a simple PDF of words, but these are well thought out and attractive pages. These are huge files! The Teacher’s Guide is nearly 300 pages and is very, very well done. It’s not overwhelming to teach and is well laid out for the teacher. That said, if I were buying the curriculum, I’d buy the books, not the PDF. It’s all there, and the e-book price will save you over the print package, but I felt I was flipping through file after file, trying to find the page I needed, or the page I’d just read and now couldn’t find. I far prefer paper books in front of me anyway, but this was one that would have been far easier if I had the print copies. On the flip side, if I’d have printed out all of the e-books and put them into folders, that would have served the same purpose. I printed only what Eden needed, trying to save ink and paper, but it didn’t help in lessening the confusion. For the price difference, I’d recommend the physical books over the e-books. WriteShop can be found on Facebook, Google+, Twitter, Pinterest, and Instagram. Read reviews from the Crew on this and the other levels available from WriteShop by heading over to the Review Crew Blog.